For those that are involved in coaching at Curley Park, you will know Glynis well as the one who prowls around the pitches checking everyone has their respect ropes in place and are wearing their red jackets. If she’s coming your way then make sure you comply! The Child Welfare Officer’s role is varied but the ultimate aim is to ensure that we can provide a safe and fun environment for our children to play football. Glynis makes sure that the club, and all its volunteers, fully understand what the responsibilities are in terms of safeguarding children. In short this involves, identifying all coaching staff and ensuring they have had the appropriate checks through the Disclosure Barring Service (DBS), and for those that do, that this is kept up to date. On a Saturday during the season she is at the club from 09.30 to 12.30 and during that time she will visit all pitches and make sure all respect ropes have been put in place, both on the coaches and parents side, and that everyone, other than the assistant referees, are stood behind them. She also makes sure that there is a Respect Steward in place for each team and that they are wearing their height of fashion hi-viz vests. On these walkabouts she is also looking out for strangers not connected to the club who therefore have no reason to be there, as well as people smoking or who have bought a dog – none of which are allowed at our home ground. Come rain or shine she asks all CPR coaches to be wearing their red jackets so that they can be easily identified by the children. Both on a match day and during the week by phone and email, she handles all complaints that are made against our coaching staff that might come in from other teams in the league, or from referees. She also handles any issues that our coaches have regarding a visiting coach or parent from another team. Any altercations on the pitch or sidelines are deemed a child safeguarding issue, so these are always handled by the respective Children Welfare Officers at each club and Glynis handles all this on behalf of CPR. 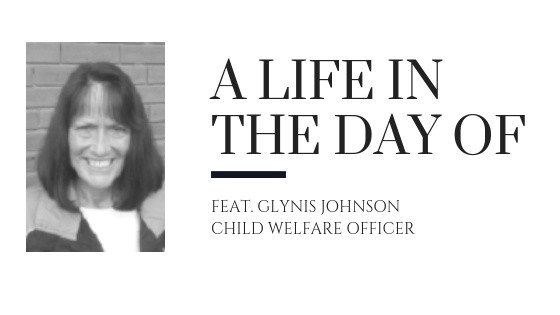 In reality, we all know that running a grassroots football club means all hands to the deck so unsurprisingly Glynis has more than just one role. In addition, she takes the lead in organising our annual in-house Soccerfest tournament, a wonderful fun family day that takes place in May and hosts over 450 children and their families. Being a core part of the CPR committee, Glynis naturally gets involved in other projects and tasks as they arise. As I say, all hands to the deck!! So that’s the job, what else do we know about our Child Welfare Officer? Glynis has nicknamed herself the Rottweiler due to the strength of character she requires to deal with our coaches. She is married to Ken, our Treasurer so she works a good double act with him on many parts of his job role too. 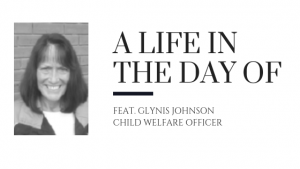 Glynis is now retired but in her working life she was a self-employed bookkeeper. Glynis is the proud grandmother of 8, one of whom, Ella, works in the canteen on a Saturday, and also Danny who plays for the U16s Jaguars. Glynis loves sport but has sadly had to retire from skiing, badminton and squash due to her dodgy knees!! When she is not at the club she enjoys playing bridge and travelling. Thank you Glynis, for everything you do for the club and letting us get an insight into your role.